Good luck with your class. I find writing workshops to be very helpful. So far I’m pleased with the way things are going. It’s early days though. I’m a little anxious about Saturday. Good luck with the course, it sounds very fascinating. It sounds demanding but rewarding – good luck! Yes but I feel as if it’s all going to be worth it in the end. Thanks! Sounds interesting. Have fun with it! Yes it is. Thanks Naomi! I go back and forth with how serious I want to be about blogging. On the one hand, it’s just a hobby and I don’t want it to become something that requires serious effort since hobbies are supposed to be fun. On the other hand, I’m putting this out for public consumption and I know I should put in thought and effort. I look forward to seeing how this works out for you. by the way, I see you added another comment option! I’m mostly doing it to see if Wi have what it takes to write fiction. I love writing on my blog but it’s not the same thing as writing fiction , shot stories, or poetry. Yes I’m glad the change worked. Hope you’re feeling better these days. ? I look forward to hearing about this as you go! Wow that sounds challenging! Well I’m giving it my best. This will determine if I can write. I hope to acquire better writing habits. Thanks Terri for the encouragement! Yes the prompts are good, but what I’ve learned is I have to write daily. That’s really important and that’s what I’m doing, especially since I’m a notorious procrastinator. ? I’m intrigued by this writing challenge and look forward to reading more about it on your blog. I follow you on IG and Youtube, but ashamed to say I am just now discovering your site. I blame it on the fact that I’m addicted to my smart phone. I enjoyed this particular post. Thanks for all your internet contributions. They inspire me to read and write more. No doubt, you inspire countless others. 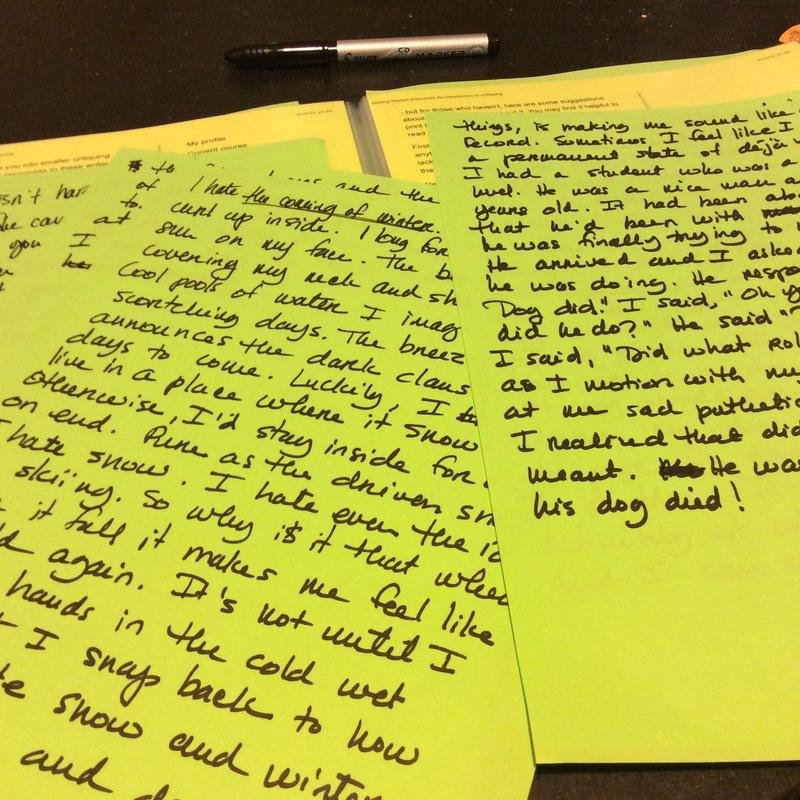 I have found that letter writing is also a good way for me to write daily. It may be something fun to try if you ever find yourself in a slump. A good pen pal will give you prompts. Looking forward to your next post. Thanks for the compliments and the support! I’m just doing an online writing course. It isn’t a challenge. I’m working on my third week and will soon post on how my second week went. Writing letters is a great idea. I have a pen pal I write to regularly in Canada. She loves postcards so I try to write regularly, however these days I’m just a little busy with my course, reading, and work. It’s crazy at the moment.